‘Live a Life Worth Living!’ Getting out of the comfort zone and ‘Meeting Life’ through travel, photography and writing. Working in the business world was slowly destroying my soul. I became increasingly unsettled in all areas of life and got to a stage where I was not ‘living’, merely existing. Taking a deep breath I closed my eyes and asked ….The answer I received was to ‘travel and write’. Plunging – ummm rather fumbling into the unknown, not knowing the future was scary, yet I could no longer face the alternative. Bondi Girl Meets…? It’s a series of TRAVEL images and articles of people and experiences. To excite and entice you to ‘Live a Life Worth Living’. Being intrepid is what life is about. Harnessing your dreams, exploring possibilities, just giving it a go in the harsh light of reality! It’s spirit, it’s a sense of adventure and it’s a wild exuberance for life. Because at the end of the day you won’t be remembered for what you wanted to do…But for the things you did! Do all the things you need to do, do all the things you want to do. Living it, feeling it and above all, having fun. Are you in or out? Travelling through life teaches you many things, especially about yourself. Pay attention to the subtle voices and feelings your soul directs you where to go and what to do. It is the only truth and the only peace. 100th Jump – a milestone. Sharing the experience with friends. I am at the bottom in purple and black. The random hand – Camera man wanted to be in the shot too! A born and bred Bondi girl with a curious mind grew up irritating her family with endless questions on life. My catch phrase ‘But Why?’ drove my mother crazy. To tell you the truth, it drove me crazy also. This mind has never ceased asking questions and seeking answers about life, I found my solace in photography and writing. Oh, and I love a dare. Why would you jump out of a perfectly good airplane? My answer: because the door was open. That door opened hundreds of times. I am not the most technical, nor do I want to be. Preferring to shoot images of those magical ‘Moments in Time’ which captures my soul on my travels. I love to unearth the layers to find the ‘story behind the story’ finding the essence with my endless questions or what I sense. Then conveying that message through words and photos for all to enjoy, with the random humour that pops to mind to make you smile. Join me and let me know how you are going to ‘Meet Life’…. There is beauty and abundance everywhere, you just have to refocus your eyes and mind. Hi Jim, I’ve had not internet access over the past few days, sorry for the delay in returning your message. 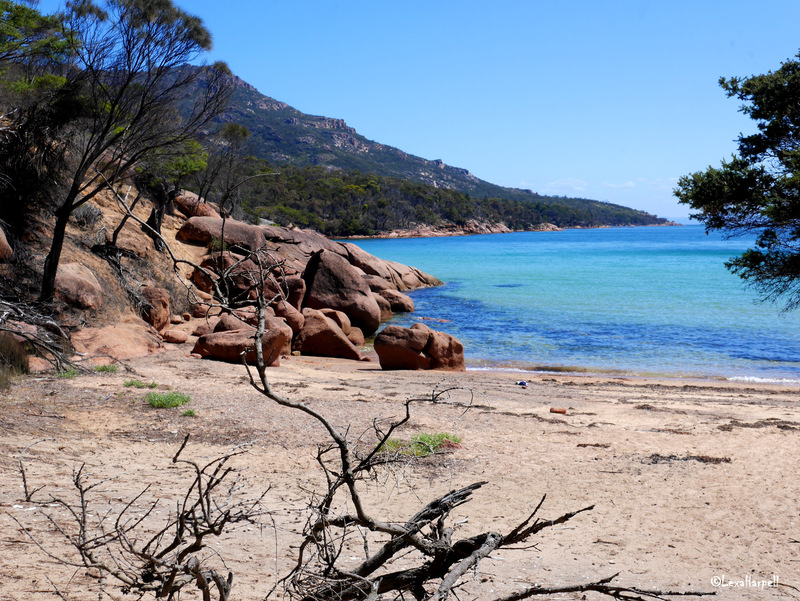 😀 Oh that image is from Freycinet National Park. Hi! No worries! Welcome back to the Internet! I will probably frame the photo. Should I figure out how big the frame is first or are there standard sizes? Writing: going fine. Publishing: haven’t done anything yet! Hey, wait! You can’t see me, can you??? Ha! At least the seed has been planted and your thoughts will be to have your writing published – you will not be able to outrun them!!! The old jedi mind trick! Love your blog Lexa, it’s so authentic, well written, inspiring, and so much fun! This was something I had planned to do when the kids were older, but now that they are, I can’t, but it’s so good to see someone living it, you go girl!